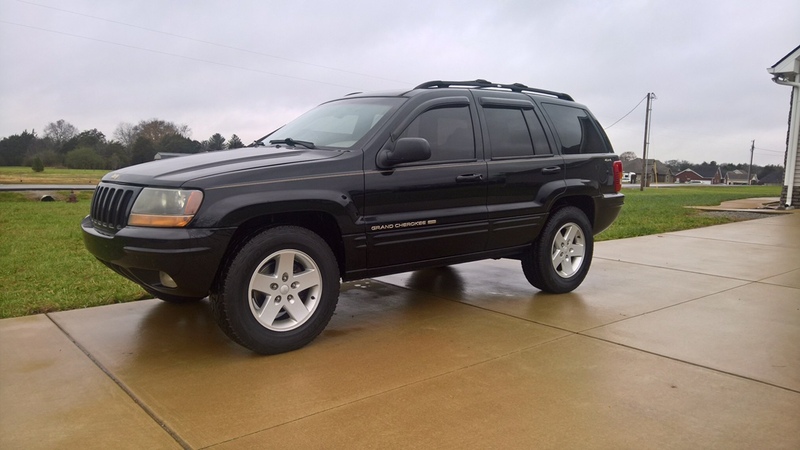 If I get some 2013 Wrangler wheels with a 56mm offset can they be put on the WJ (50mm offset)? I also am not certain which direction the offset moves the hub. Would a 6mm spacer be required? (Getting them for the good tires but may just put the wheels on if there is no real issue. Wheels should bolt up no problem. If you're planning on larger tires too you'll need a lift. You shouldn't notice much difference at all from a rim standpoint. I actually have JL rims on my '02 WJ. I needed to use the lug nuts from my old rims. I have these on mine with some decent tires & have a little rub. I’d recommend doing the 2” rough country lift. It’s not expensive, & will give the clearance needed. 99 JGC "Black & Tan"
They are the same sized tires on 16" wheels. From what I can find the only difference between the wheels is the center offset. That means that height is no issue. I had the offsets wrong in the OP. The JK wheel specs as 7JJx16 ET50, which is the 50mm center offset. The WJ wheel specs as 7Jx16 ET56, which is the 56mm center offset. If you're running the same tires then the offset is 50mm. If there is rubbing then spacers would be desirable. It looks like a set of 4 spacers will run about a bill on eBay. I might keep the old wheels for winter tires. If they’re the same Ø, & you’re running the same size tires, there should be no reason whatsoever for spacers. There’s only a 6mm (less than a 1/4”) of difference. Haha. That’s why it was on low power mode. That website (will they fit) has been a great tool for me over the years. Does it really help to have wheels offset or is that just bec he's putting the other rims on it? That image just shows how the new rims will set vs the old rims. Gotcha. It really depends on what look you’re trying to achieve. If you notice on some vehicles, the rear wheels appear to be more inset than the front. 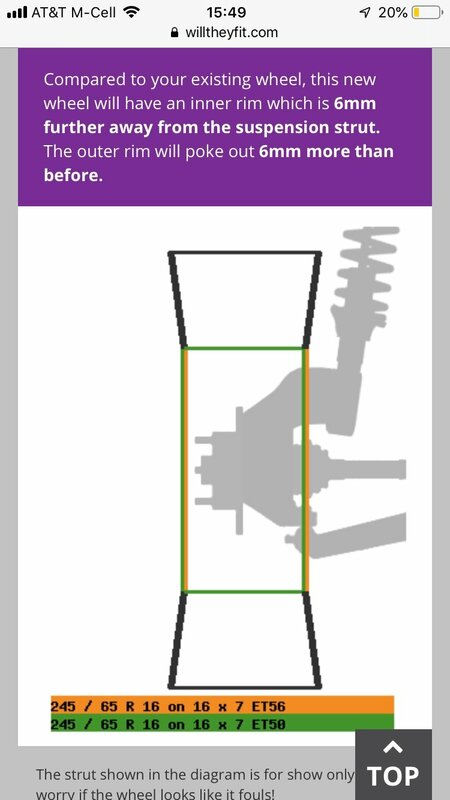 So, if you’re looking to make the front & rear wheels flush, you may have to run a staggered setup. To put my words to pictures, here’s my case. 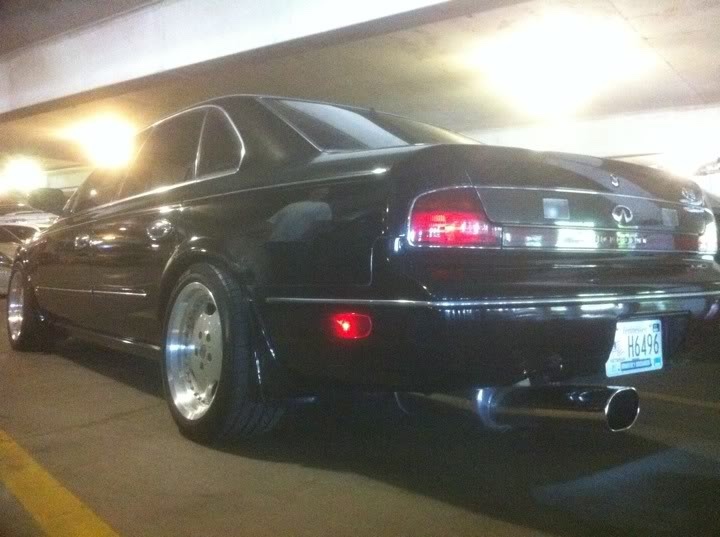 This was my 94 Q45. I know it’s not a Jeep, but it explains what I said. This image shows the difference in the front & rear. The wheels were matched (18x7.5, +35). This image shows the correction with different wheels (front: 17x8, +5; rear: 17x9, +18). 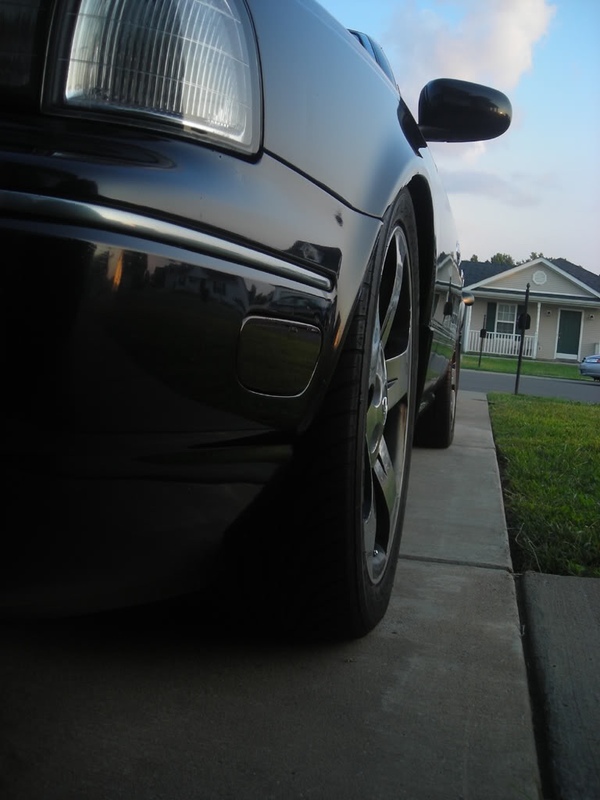 The rear wheel is 1” wider, but has 1/2” lower offset, which then creates a flush appearance. This image is just because I like the picture, & this was the way I had it setup before I sold it. I was able to determine what I needed using the site mentioned above, & a measuring tape.